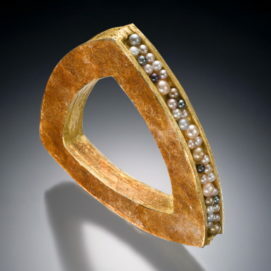 Keith Lewis received his BS in Chemistry from Dickinson College (Carlisle, PA) in 1981 and his MFA in Jewelry & Metalsmithing from Kent State University (Kent, OH) in 1993. He has been teaching at CWU since 1994, where he is currently CWU Distinguished Professor. 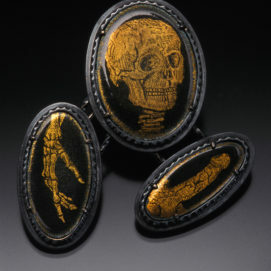 His jewelry deals with issues of sexual identity, memory, loss, and the notion of jewelry as a transportable polemic. It has been widely published and shown both nationally and internationally and is represented in a number of significant public and private collections, including the Tacoma Art Museum, The Houston Museum of Fine Arts, The Rotasa Foundation (CA), The Boardman Family Collection (CA), The Porter/Price Collection (NC), the collection of Susan Beech (CA), The Smithsonian Institution and The Metropolitan Museum of Art. 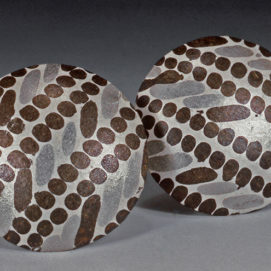 In addition to his work as an artist and teacher, he has also written for a number of publications including Metalsmith, New Art Examiner and Artweek and has served as a member of the Board of Directors of the Society of North American Goldsmiths (SNAG) and of the Metalsmith magazine Editorial Advisory Board. He wishes that students would stop sleeping and start spending more time in the studio. He hates excuses. His favorite fruit is jaboticaba.